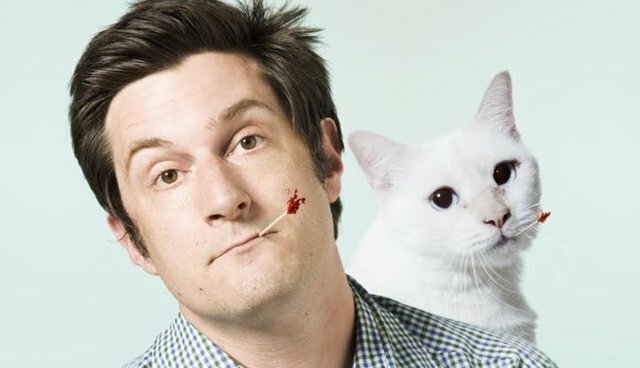 The following is an excerpt from Michael Showalter's "Guys Can Be Cat Ladies Too: A Guidebook for Men and Their Cats." You didn't get a cat to help you chase women. You got a cat because you'd become the man you wanted to be and felt ready to share that evolution in a positive way with the world around you. But the fact remains: your cat gives you a distinct advantage in the dating world, and it's one you need to exploit. 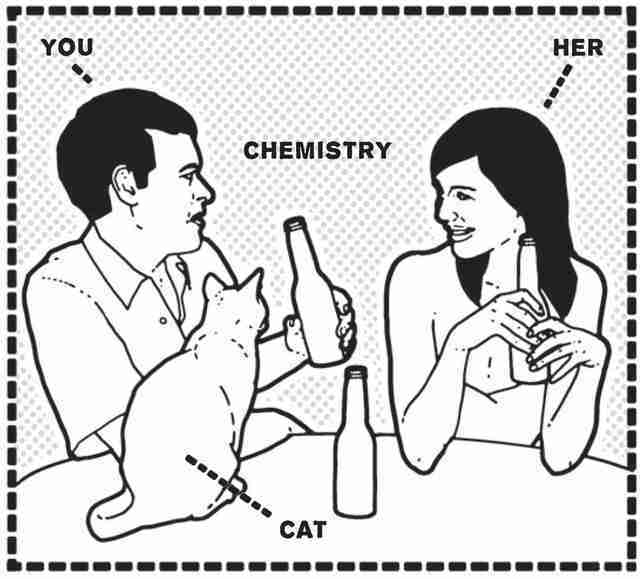 Your cat is a perfect wingman. Let's look at how you two can work together to land the babes. Women are drawn to men who show an ability to protect and nurture. All the qualities you've developed by caring for your cat are a flashing sign to women that says "Scoop this guy up before someone else does!" The trick is to let them see that nurturing side. I recommend strapping your cat into a BabyBjorn carrier and bringing him out for an afternoon of errands. Don't worry about finding women. They will find you. Just care about your cat as you always do and let the rest just happen. "I'd love for you to meet my cat, I think he'd find you purrrrfect!" "I don't know about you, but I'm 'feline' like getting a drink. May I buy you one?" "You don't have a boyfriend? You gotta be 'kitten' me! [pause] That's a joke I like to make with my cat. I'm a very passionate cat owner." "I'm total suburban-dad material. I like to meow the lawn." Your cat is also a valuable tool for extricating yourself from unpleasant dating/flirtation situations without all the normal social awkwardness. If you are flying solo at the club and stuck talking to a dead-ender, you can always use the old "I've got to go home and feed my cat his diabetes medication line (white lie at worst, sad truth at best). If your cat is there with you, have your cat jump up on the bar and begin plaintively meowing in your face. You guys will have to have agreed on your "parts" in this scene, but the gist should be that your cat is tired and wants to leave, while you want to stay but you feel an obligation to your cat. Your cat says, "I'm going to wait in the car," and walks away; then all you have to do is gesture toward the door apologetically, say your good-byes, and you're home free. It's like war out there in the dating world ... you'd be a fool to head into battle without a weapon like your cat by your side.